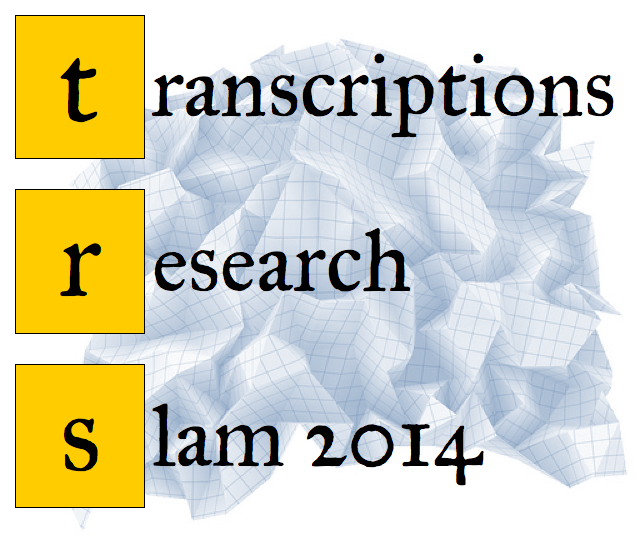 Transcriptions invites you to join us at our Seventh Annual Research Slam, happening on Friday May 23rd from 1pm to 5:30pm in South Hall, 2607 (the CRC). This year’s theme is “Digital Projects: Past, Present and Future”: Graduate students from English, Film and Media Studies and Comparative Literature will showcase projects in all stages of progress, from completed works to speculative concepts. 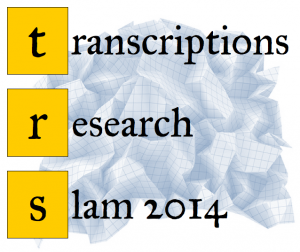 A research slam is an informal, free-flowing method of experiencing research that combines the best of a conference presentation, a poster session and a poetry slam. There will be refreshments.